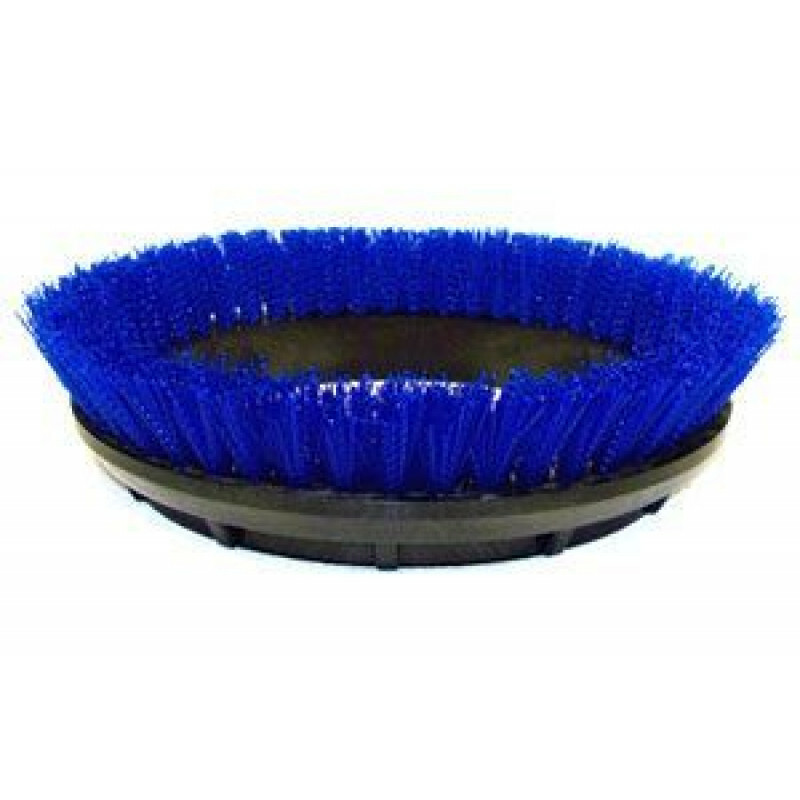 This blue scrubbing brush with .020" poly bristles fits directly onto our Oreck 12 inch electric floor buffer and is ideal for use on a number of different floor types, including tile, unfinished concrete, terrazzo and vinyl. It is more aggressive than the light duty union mix brush and green stone floor brush, but less tha agressive the orange heavy duty brush that we carry. 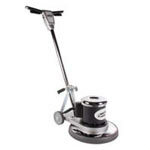 Please feel free to take a look at our full selection of floor scrubbing brushes for other options.